Hello! 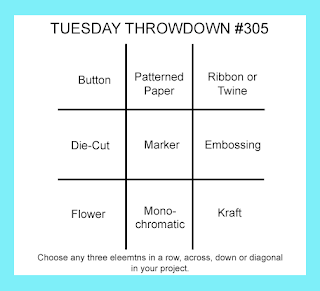 Today we have a fun tic-tac-toe challenge over at the Tuesday Throwdown blog. Robyn's Fetish is our wonderful sponsor this week. I am using A Little Birdie Told Me from the Robyn's Fetish store. I colored the image in using Copic markers. I added some white highlights to the bird and dots to the flowers. 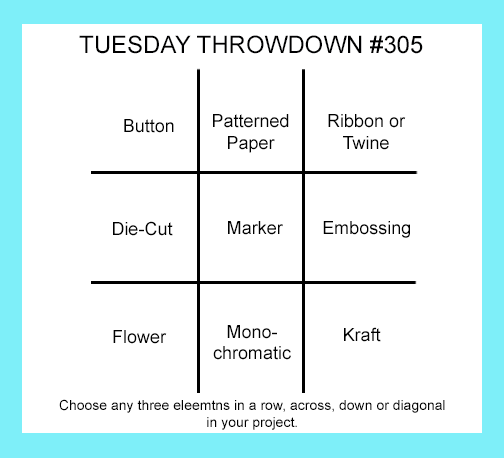 I am using ribbon, flower and marker. Adorable card and I love that little bird!! Fabulous Copic coloring! Thanks for sharing with us at Cards in Envy. Nice CAS design. Love the white touches on the flower petals. Fab coloring! This is one of the cutest images ever and you've made it even more so with your fabulous coloring. Love it! 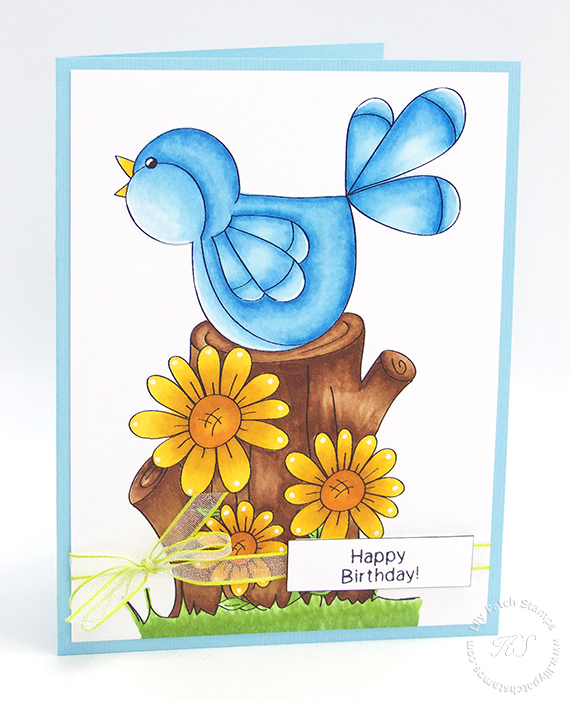 Your blue bird is very cheerful along with the yellow flowers. Very pretty! Such a lovely card lovely image .